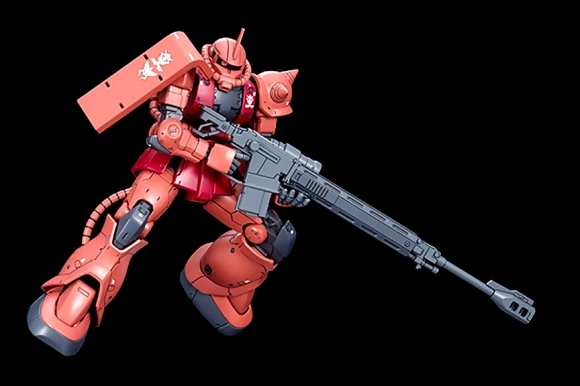 The first kit from Mobile Suit Gundam: THE ORIGIN, Char "The Red Comet" Aznable's signature red mobile Suit joins the HG lineup! 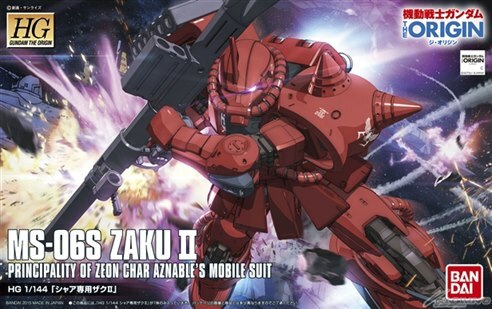 Char's Zaku II finally gets the well-deserved HG upgrade it's been waiting for! 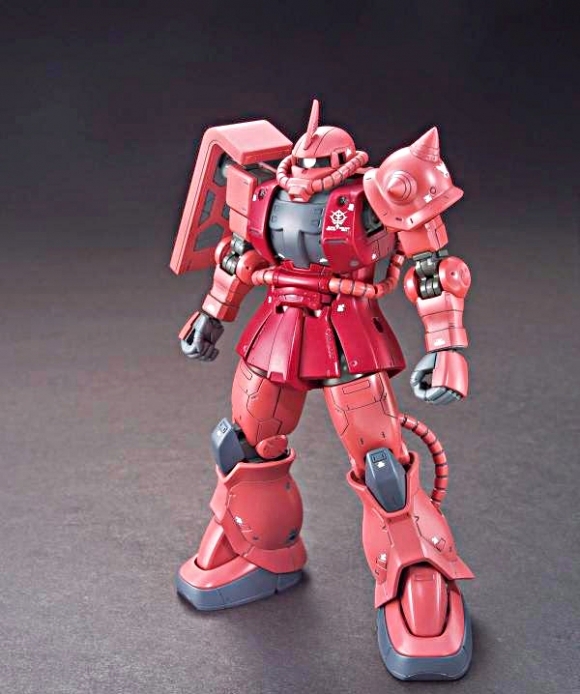 Following the design of the Suit from Gundam: THE ORIGIN, this kit boasts fine detail, ideal proportions, and an impressive range of motion. Monoeye camera features lever-operated movement gimmick. Updated chest parts with integrated Vulcan guns along with the traditional smooth chest parts. 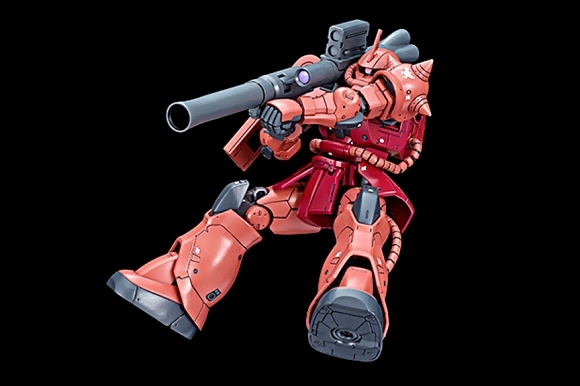 Arm mobility improved for dynamic firing stances. 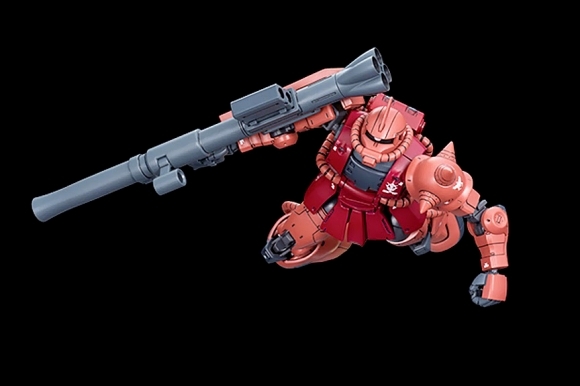 Side armor slides to accommodate kneeling poses. 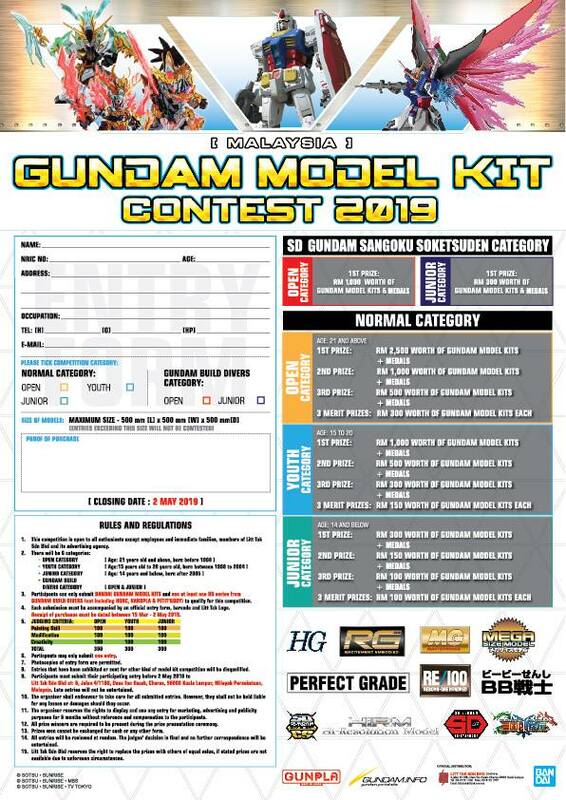 Includes Combat Heat Hawk as well as a mounted Heat Hawk. 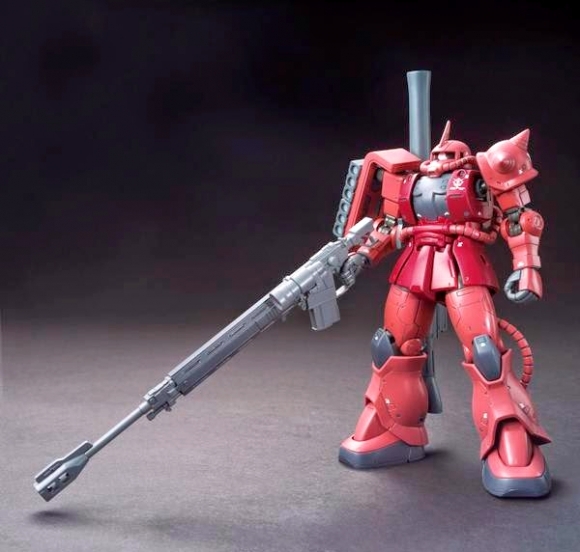 Zaku Bazooka can be attached to the backpack, and spare magazines on the shield.